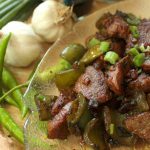 Keto Pork Chilly Fry - Headbanger's Kitchen - Keto All The Way! For some reason I had a hankering for Pork Tenderloin and I was watching tons of youtube recipe videos which resulted in me heading to the butcher to procure some. Once in my possession I cooked it up 2 different ways, an oriental style and a regular grilled version. The wife fully approved the oriental pork chilly fry and said I must shoot it for the show. So here we are. Enjoy! I think one of the hardest cuisines to ‘make Keto’ is Chinese food. When I say Chinese I really mean Indian Chinese which is it’s own cuisine if you ask me. Most of the items have sauces with lots of sugar and carbs in them. Otherwise it’s always coated in cornflour and deep fried or the starch is used to thicken the sauces and soups. This recipe (and most of my other ones) generally use limited amounts of sauce and skip the coating on the meat (or paneer) when frying. 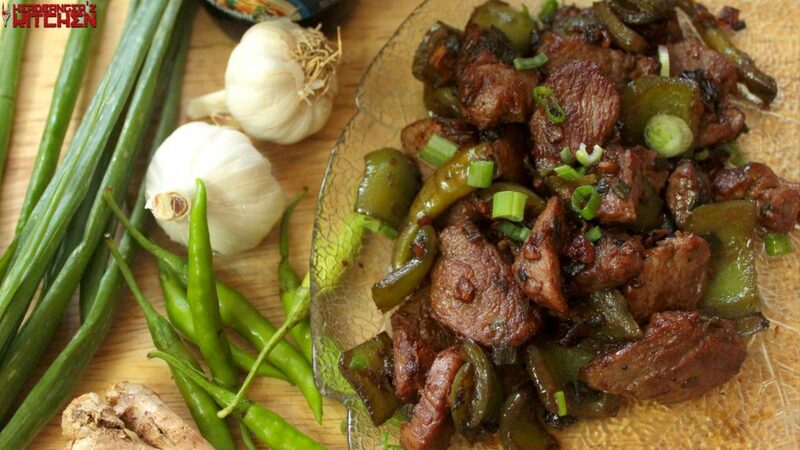 You can still bring out those beautiful flavours with the garlic, ginger, spring onions and using minmal amounts of sauce like soya sauce and vinegar which keep the carb counts down. Add in the green peppers, soya sauce and vinegar. Hi what are the measurements for 1 serving?